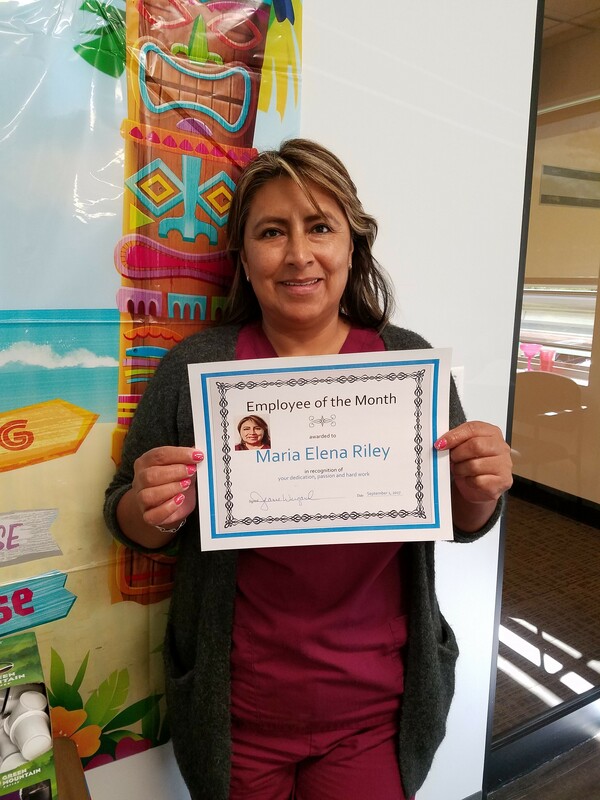 Maria Riley September employee of the month. Maria has been with Connected Home Care for a few years and is well sought out by her clients. She always takes on new and difficult clients with a smile and never complains. She is well loved by her co-workers and office staff. We thank you for all you do every day.